There's no shortage of streaming set-top boxes. While Roku and Apple devices rank among the most popular, Android-based streamers are increasingly prevalent. 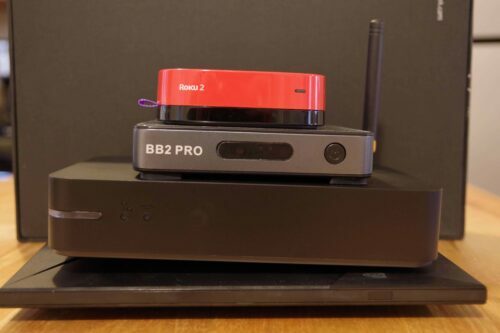 Ranging from Android TV OS options such as the Nvidia Shield TV to Amlogic-based offerings like the Mecool BB2 Pro, Android presents a thriving landscape. 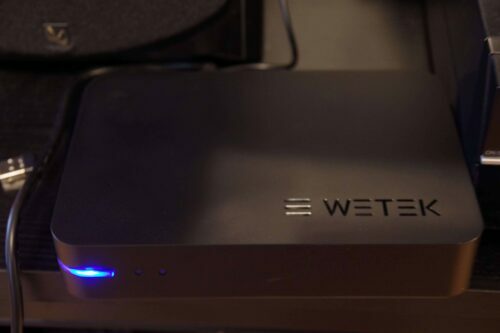 The WeTek Play 2 Android streaming box stands as one of the best and most distinctive streaming options available. On the back of the device, you'll find an input for ATSC, cable, or satellite connectivity. Mine arrived with an ATSC input. But these are swappable on the WeTek Play 2 Android set top box. The front of the WeTek Play 2 Android streamer features an LED light that glows blue when powered on and red when off. It's not as overpoweringly bright as that found on the Mecool BB2 Pro. Rather, the WeTek Play 2 features a muted power indicator light. Its Quad-core Amlogic S905H CPU coupled with a Mali MP-450 Penta-core GPU can handle H265 codecs. With its beefy hardware, the WeTek Play 2 can handle 4K streaming at 60Hz. Funimation, for instance, plays well and in fact better than the Mecool BB2 Pro. On my BB2 Pro, Funimation occasionally freezes for a few seconds. 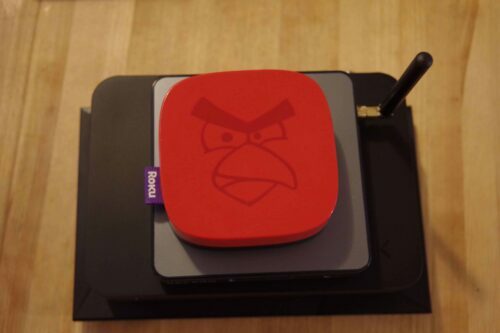 After hours of use, the WeTek Play 2 TV box suffered little to no perceived performance issues. It even handled my largest H264 files streamed via Plex. 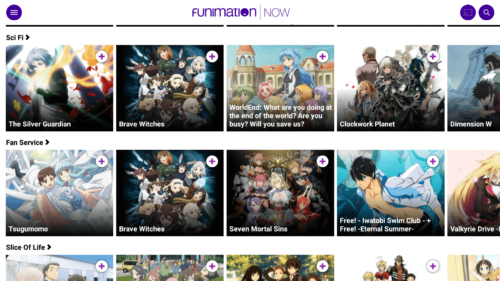 But on apps like Funimation, layout cut off part of the screen in navigation menus. Playing videos appeared in their entirety, however. Though the WeTek Play 2 comes with a sparse library of apps installed, you can download many apps from the Google Play store or included Aptoide TV marketplace. Unfortunately, a major oversight is that Netflix isn't pre-installed. Moreover, it's listed as incompatible in the Google Play store. I suspect this relates to Netflix blacklisting rooted devices but that's pure speculation. Luckily, I was able to successfully sideload Netflix and can confirm that it runs like a champ. 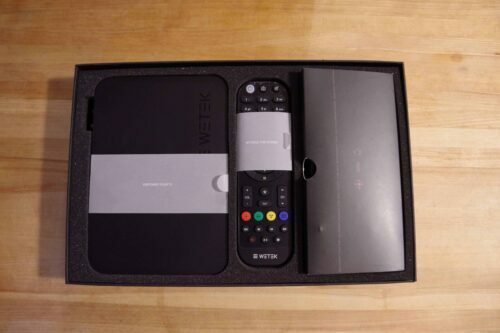 Since the WeTek Play 2 TV box runs a version of Android, there's huge app compatibility. You can access the Google Play store and Aptoide TV market which I appreciated. Even if an application is unavailable from either source, you may be able to sideload it. There's not much I disliked about the WeTek Play 2. Because I already have an Nvidia Shield TV, I'll continue using that as my primary streaming device. But the WeTek Play 2 Android streamer's reliance on a tablet-optimized version of Android is limiting. Apps aren't easily navigated with the default remote. However, the remote like that of the BB2 Pro, sports a mouse mode. Click this and you can scroll around. Slowly, but hey, at least you can scroll and click around. You'll absolutely need to use the mouse mode with certain apps like Netflix. 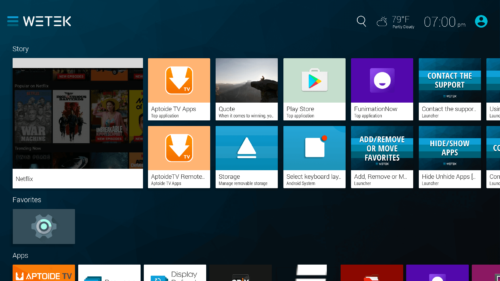 Yet while most media apps are available on Android TV, some are still lacking. Notably, Funimation isn't available as an Android TV app, so I do enjoy the extra app compatibility. Another issue is that Netflix doesn't come pre-installed. Presumably, the WeTek Play 2 concentrates on the power user subset of the population. 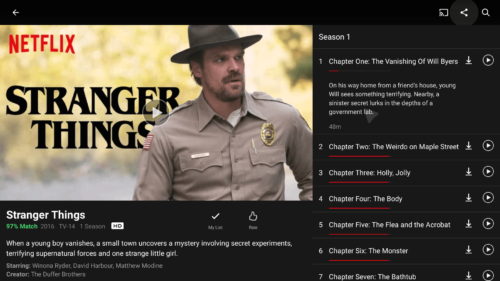 Therefore, sideloading apps such as Netflix isn't a challenge. Still, it's tough to recommend to anyone who's not tech savvy. Additionally, having to sideload apps does increase the setup time. However, it's not a major detraction from the overall excellence of the WeTek Play 2 Android multimedia player. After getting hands on with the WeTek Play 2 Android media player, I've been thoroughly impressed. The WeTek runs all of the apps I regularly use, and can even stream PC games using the Moonlight open-source game streaming app. Its hardware remains beefy while maintaining a small physical footprint. The tablet-optimized Android OS is a tradeoff. While this allows for additional app compatibility, the UI is admittedly clunky. That's somewhat simplified through use of the mouse mode. But it's nowhere near as smooth as the user experience with the Nvidia Shield TV, still my top recommendation as a legal Kodi box, Plex client device, and depending on your needs a Plex server. Integrated TV tuner capabilities, the power of Android, and 4K support make the WeTek Play 2 an amazing Android media streamer. 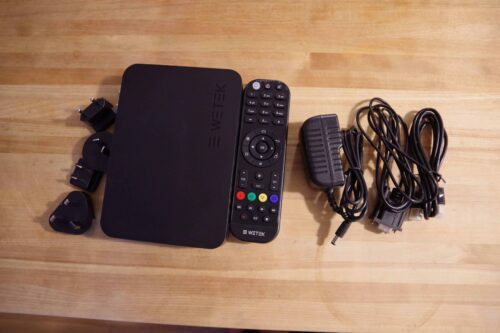 Though it's unlikely to replace my Shield TV as my daily driver, I plan to continue using the WeTek Play 2 for an OTA DVR as well as non-Android TV OS apps. 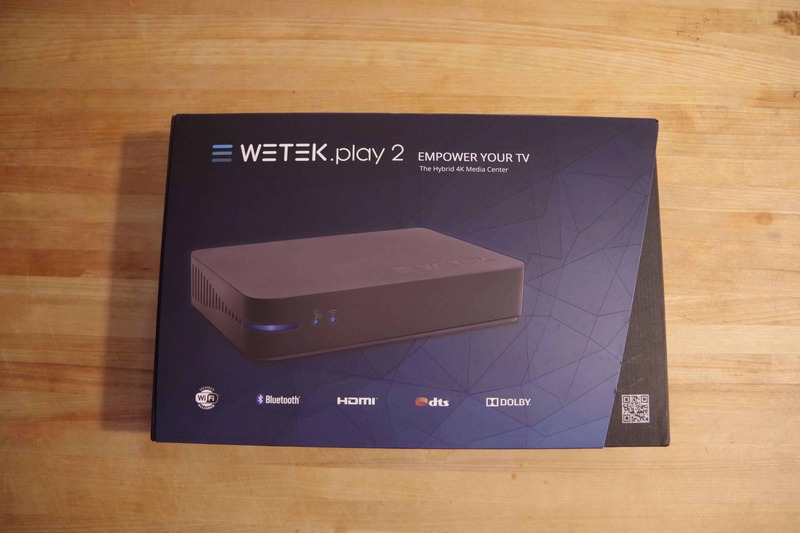 What are your thoughts on the WeTek Play 2, and which Android streaming media players do you suggest?